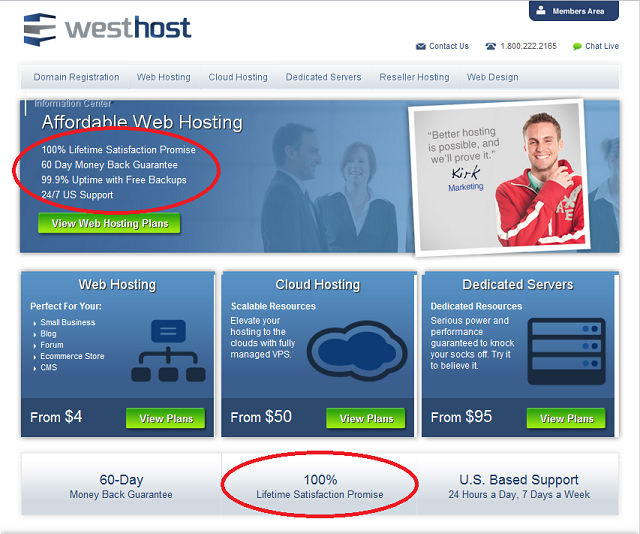 I had hosted a website with Westhost on a shared server for a while, and hadn’t had a whole lot of problems with it, other than some limitations around the maximum number of connections allowed on the shared hosting platform. When I had the requirement to bring another website online as a backend to an iPhone app, I went for the base Cloud Hosting package choosing the Reseller option to allow SSH access. Through my own incompetence I managed to sign up for 12 months in advance, rather than by paying on a monthly or quarterly basis. Unfortunately I have been afflicted by more than one outage every month. The following are the outages as recorded by Site24x7. I would like to point out these are all infrastructure failures, not bad code or misconfiguration on my part. I understand that outages are going to happen, but on at least two occasions I was unable to contact anyone via instant chat, or able to get any response by logging a call or via Twitter until well after the outage was over. My mail server at home had been up for two years straight before it was restarted during a distribution upgrade, and I don’t have a SAS 70 Type II Compliant Data Centre. After the last 3+ hour outage I decided enough was enough, and moved my websites to the Rackspace Cloud. I’m not saying that if you break out Lawyers at ten paces, they don’t have a legal, contractual case for the above refusal to refund for service not delivered, but I believe it is well outside of the spirit of the 100% Lifetime Satisfaction Promise and the message conveyed by their website. Hosting costs are calculated by the hour on resources and bandwidth used (Calculator), so it looks like my hosting cost will only be 25-30% of what it was at Westhost. I have logged one support call so far for a change that was done BLINDINGLY FAST, and right the first time. Should I want to leave (which I am very much hoping will not be the case), I can terminate billing immediately just by deleting the virtual machine. UPDATE: Within 24 hours WestHost had contacted me, and undertaken to give me a refund for the four months of hosting that I had not received. Within 5 days I had the refund in my PayPal account. 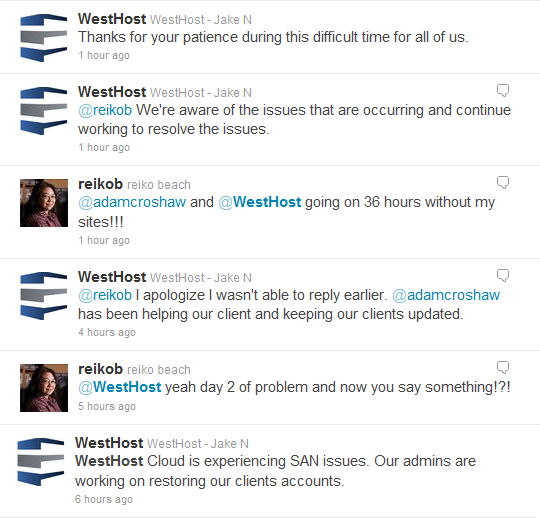 UPDATE: 24 August – Things not going so well over at WestHost. Rackspace 57 days, 100% uptime. Thanks for taking the time to post your story which I read with huge amounts of interest. Hey Jamie, it is obvious that your experience was not up to par and we will keep working with you to help you feel we stand by the satisfaction promise. Last time we talked to you the billing manager thought you were satisfied when you decided to keep the cloud account open but little did we know this site would be the result. Sorry for not hearing you clearly and sorry for not meeting your expectations; we realize we could’ve done better. I assume you would still like the refund and are will to provide it to you. We have already responded to one of your emails letting you know this the case so all you need to do is decide when to close the account, tell us to do it and we’ll take care of the rest. If you have any other questions or concerns you may call me anytime, easiest way to is dial the toll-free number and ask for me. I have been a WH customer for years, survived their last outage, but this one really is getting to me…thanks for posting my tweets…(above). I will be looking at other options! !